A totally delicious looking meal I did NOT cook! I am a lazy cook. Actually I am a lazy lots of things, but I'm especially lazy at cooking. My husband will agree with this since he has cooked pretty much every meal for the past two weeks.... or more. I go through phases where I get inspired to cook, but they are usually very and I mean VERY simple *ahem* rustic style meals and then 'Poooof' the inspiration vanishes as quickly as it came - which is kind of slow really when I think about it because I take a lot to get inspired to cook in the first place. I'm sort of rambling aren't I? I totally blame Pinterest for my apathy. 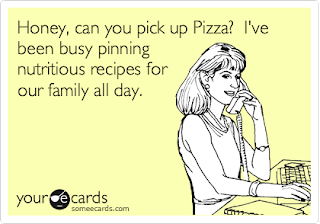 I find the most insane recipes on there that I just know my family would love, and so I pin the buggery out of them, pinning pinning pinning like my life depends on it. High on my list of 'one day when I am rich I shall employ you' is a chef. Yep a chef falls somewhere between a professional ironer and a European masseuse. Fat chance that either of those are going to be in my employment any time soon so I am just going to have to settle for being very nice to my husband and hoping he will continue to feed us. Would you be really shocked if I told you that when Hello Fresh sent me some of their dinner packages to try I gave them to my poor unsuspecting man and told him that I organised it all just to make his life easier. You're not a bit surprised by my awful behaviour are you - because you and I both know I am totally capable of doing something as cunning as trying to pull one of my beloved husbands eyes. But before you go and get all judgey on me just ask yourself - how much did you tell your partner you paid for that last purchase and how much did you REALLY pay? I'm clutching at straws here, let's just move on. Hello Fresh is a totally cool concept in my humble opinion. These guys send you everything you need to make your meals for a week - yep ingredients all measured out and instructions that even a child could follow ... or that at least a total novice like me can make in under 30 minutes. 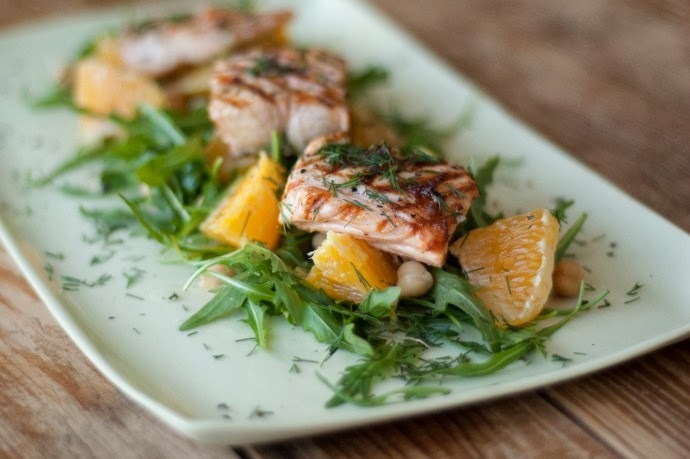 The meals are all nutritionally balanced and created by real fair dinkum chefs. It's almost as good as getting that Chef from my 'I want' list. 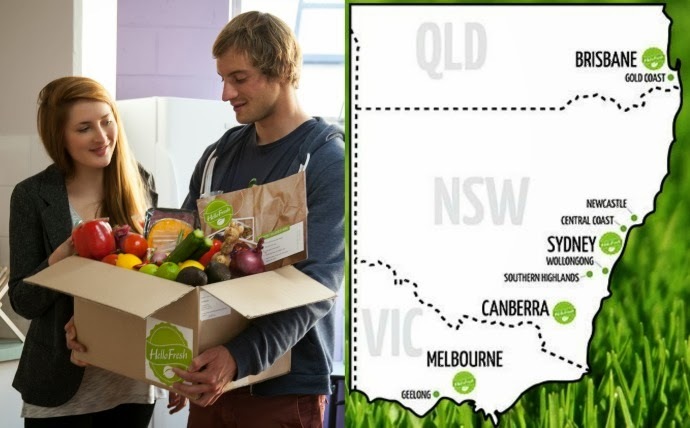 At the moment they deliver to most suburbs in Brisbane, Sydney, Canberra and Melbourne. They have recently opened up deliveries to Newcastle, Central Coast, Southern Highlands and Geelong as well and if you aren't within their delivery area, just email them and will let you know when we will be. You can check out their website here for more info. 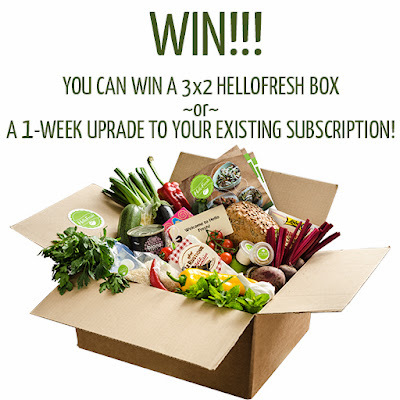 I have a Hello Fresh box to give away valued at $64. Yay. Well I don't actually have it in my possession cause we scoffed ours, but the lovely gang at Hello Fresh will send you a brand spanking new one with everything you need for 3 meals. Please only enter this comp if you are in the delivery areas I outlined above as I would hate to have to disappoint anyone and redraw. leave me a comment telling me a lie you've told your partner lately. If you don't have one (you saint you) make one up to make me feel better about myself. Good Luck and don't forget to enter the other great comps I have going on at the moment and keep your eye out for more to come.